Supporters – Sign Hi Say Hi! We would like to thanks the Lytham Lions for selecting us as one of the charities to receive donations from this years Swimarathon. We have received a cheque for £3000 to help to fund our summer term programme. Blackpool Masonic Lodge have made a donation of £235. We would like to thank them for their support and in particular the member who held an event at their house to raise funds. We will use the donation towards funding activities for local deaf children. We would like to thank Miss Chandler for her kind donation to celebrate the 18th birthday of Jane Russell’s triplets. The donation will be used to fund activities for local deaf children. 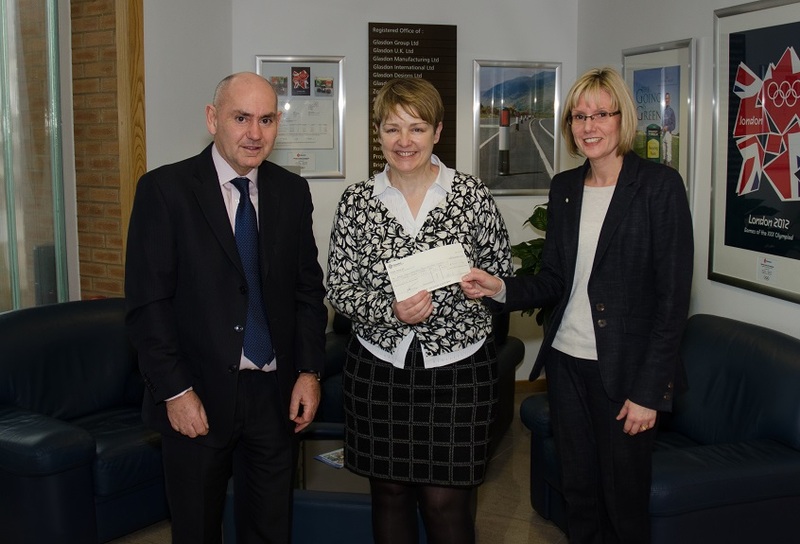 Lytham Round Table have made a donation of £1300 to help towards covering the costs of an interpreter and activities. We are very grateful for this donation as we don’t receive any government or local authority funding we are dependent on the generosity of organisations such as this in order to keep Sign Hi Say Hi going. The Clifton Lodge has made a very generous donation of £1000 to support us. We are very grateful for this donation which will enable us to continue to hold activities that provide opportunities for local deaf children to get together. The Glasdon Charitable Giving Committee have made a donation of £200 to support our activities over the Yuletide season. We are very grateful for their support and will use the donation towards the costs of the Children’s Christmas Party. A representative from the Trust came to our Halloween event to see the Club in action and met with the Vice Chair Iain Phillips. As a result we have received a grant of £1000 to enable us to continue to hold activities for local deaf children. We are really pleased that they liked the Sign Hi Say Hi! Club and have recognised this by making this grant. We have received £200 from ASDA’s Green Token Scheme. We will use the money towards helping us hold activities for local deaf children. We would like to thank ASDA and their customers for supporting us. We would like to thank the Blackpool FC Community Trust run National Citizens programme for their hard work in raising £235.10 for us. Their efforts are really appreciated and the money raised will go to helping us hold activities for local deaf children. We would like to thank the Rotary Club of Lytham for their kind donation of £100. The donation will be used towards the costs of providing activities to local deaf children. We would like to thank Alan and his wife for their kind donation of £800. The donation is being used to fund a deaf role model to attend activity sessions. It is good for the children to be able to see that being deaf is not necessarily a barrier to success. We are delighted to announce that we have bagged £3,920 from Tesco’s Bags of Help community grant scheme. Bags of Help is run in partnership with environmental charity Groundwork and sees grants raised from the sale of carrier bags awarded to thousands of local community projects every year. Since launching in 2015 its provided £52 million to over 16,000 community projects. 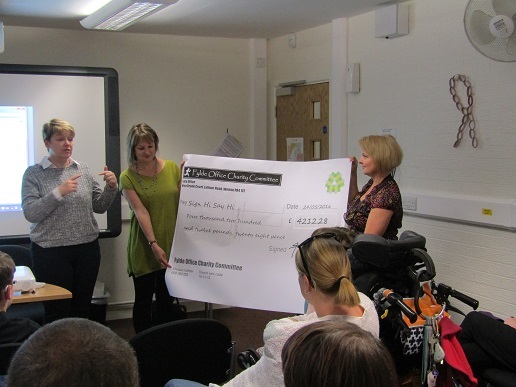 We will be using this funding to provide exciting activities to deaf children in Fylde, Wyre and Blackpool. We would like to thank all the people who voted for us in the local Tesco stores. We would like to thank Guy Penn Community Insurance Brokers an agency for the Yorkshire Building Society in Kirkham and one of their customers for putting us forward to receive a donation from the Yorkshire Building Society Charitable Foundation. The Foundation considered their submission favourable with the result we have received a donation of £2,000. This funding will go towards the costs of providing interpreters for our events. 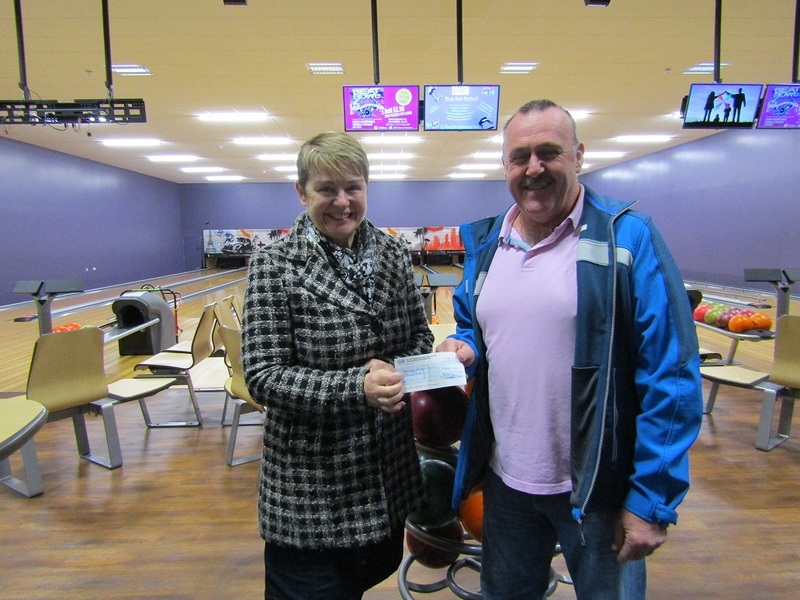 We have received a donation of £475 in memory of Mike Hallett who recently passed away. Mike was a very proud granddad and would be thrilled if he knew that his family were using some of the money given in his memory to benefit local children with hearing problems like his granddaughter. Once she is older she will be able to join in Sign Hi Say Hi! activities. The family have also donated money to NDCS. The donation is very welcome and will help to fund some of our activity programme. We would like to thank Storytellers Inc for their kind donation of £120. The donation will help us continue to fund activities for the children. We would like to thank the Kentown Wizard Foundation who as part of their 12 days of Christmas have made us a grant of £1500. The grant has been made to help us continue to fund activities. We would like to thank the Co-operative Funeralcare in Thornton for donating a hamper for our Christmas raffle. The amount raised from the raffle (£95) will be put into club funds to use to provide activities for the children. We would like to thank the Co-op store in Larkholme and their customers for their kind donation of £43.62. We will be using this towards the cost of the children’s Christmas party. We would like to thank Glasdon for their kind donation of £200. We are intending to use this donation to help cover the costs of the children’s Christmas party. Joy Leatherbarrow President of the Fleetwood Rotaract handed over a donation of £1000 to Jane Thomas (Chair) at their inauguration dinner which was held at Blackpool Football Club. Also present were Don McLeod(Treaurer) and Karen McLeod(Secretary). We would like to thank Rotaract for their kind donation and all their hard work in organising the many fantastic events throughout the year in order to raise this money. We thoroughly enjoyed attending the events. This year Fleetwood Rotaract are supporting the Play Inclusion Project Charity who provide the session staff for our events. We have been the Blackpool’s store charity of the year. The monies raised have now been donated to us and total a fantastic £4,583.73. This money will be used to support the many activities we hold for deaf and hearing impaired children in the Blackpool, Fylde and Wyre area. A great big thanks to those gentlemen attending this St Georges Day lunch at the Clifton Arms a fantastic £2,500 was raised for Club funds. These funds have been donated in order to enable us to provide a residential event as requested by the children. The proposal is the event will take place early summer 2018 and we are starting to look into possible venues. Sign Hi Say Hi! have just been advised that we are to receive £3490 from the Co-op Local Community Fund. We were selected by the Thornton Store last year to receive money in the Thornton/Fleetwood area. This is great news and we would like to thank the Co-op staff for all their hard work in promoting us and Co-op customers in the area for selecting us to receive the 1% of their spend. We are now going ahead to arrange a residential event as put forward by the children. We would like to thank James Johnson of Accounts (UK) Ltd, Park Road, St Annes for kindly examining and certifying our accounts. It is important that we can demonstrate when applying for grant funding that we have a professional approach to managing budgets and accounting for expenditure. 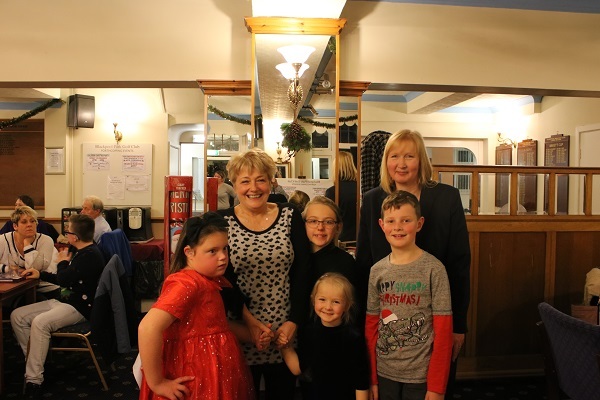 Christmas Party – 6th December During the party we held a raffle with several prizes donated by the Co-op including a hamper donated by Co-0p Funeral Care in Thornton which was brought to the party by Karen Mercer (pictured on the right). The raffle raised £137 which is a great addition to Club funds. Marks and Spencers Bingo Evening – West Coast Cafe. Sign Hi Say Hi! are Marks and Spencers Blackpool Charity of the Year. Staff are raising funds for us throughout the year. Caroline Rivett who is a member of our Committee and works for Marks and Spencers organised a Bingo evening to raise funds. Staff from Marks and Spencers were very generous as over £200 was raised on the evening. Jane Thomas(Chair) and her husband David, Don McLeod(Treasurer) and Karen McLeod (Secretary) attended. We had a great time, there was bingo and a great quiz and plenty of raffle prizes. There are plans to hold a similar event in January and we are hoping to go along again. Sign Hi Say Hi! 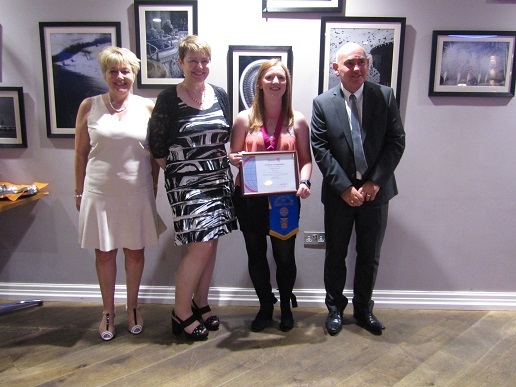 are the Fleetwood Rotaract Charity of the Year. They are holding a variety of events to raise funds for us including this event. Attendees from Sign Hi Say Hi! were Jane Thomas (Chair) and her husband David and Don McLeod(Treasurer) and Karen McLeod(Secretary). We were made very welcome and money was raised towards our funds. We managed to come a creditable third in the quiz and will be going along to the next one. Sign Hi Say Hi! has been selected by the Thornton Co-op to receive money from the Local Community Fund in the Thornton/Fleetwood area. 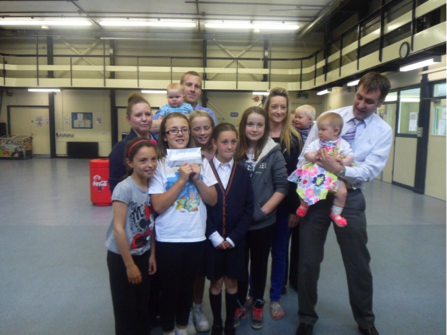 We really appreciate this and it will help us to continue to fund activities for our families. 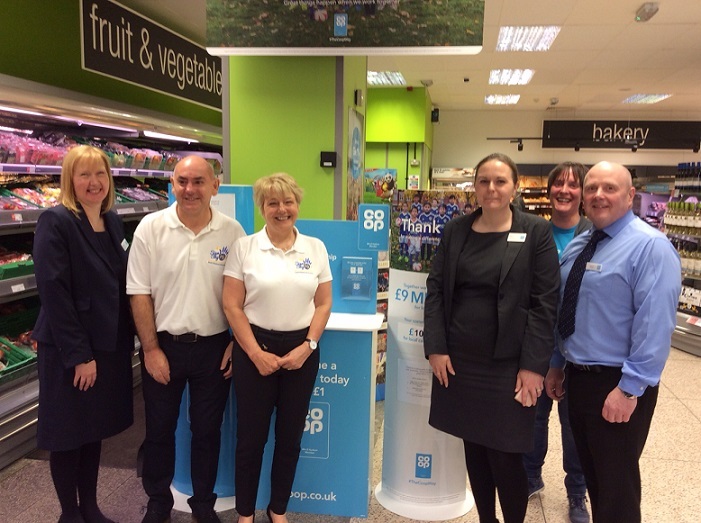 During November Karen McLeod(Secretary), Sarah Hill(member), Jane Thomas(Chair) and Jane Russell (member) spent time (Friday/Saturday) in Thornton Co-op promoting Sign Hi Say Hi! among customers to increase our share of the Local Community Fund. We would like to thank Terry the store manager who nominated Sign Hi Say Hi! and is enthusiastically promoting Sign Hi Say Hi! amongst his customers. We would like to thank the Burnaze Psychic Club for their kind donation of £400. It will help boost club funds which is greatly needed as we have so many more children attending events. 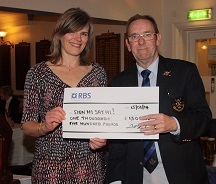 The picture above shows John Isles presenting the cheque to Jane Thomas our Chair. We would like to thank Storytellers, Inc bookshop, The Cresent, St Annes for their kind donation of £96.00, it will help boost our club funds. Staff from the Land Registry based at Warton elected Sign Hi Say Hi! as their charity of the year for 2015/16. A cheque for £4,232.28 was presented to Jane Thomas Chair of Sign Hi Say Hi! by Jeannette Snape (Treasurer) and Carol Eyre (Secretary) of Fylde Land Registry Charity Committee. Sign Hi Say Hi! really appreciate the efforts of the staff in raising this amount and it will be put to good use supporting deaf children in the area. Sign Hi Say Hi! have been the Saint Annes on the Sea Mayor’s Charity 2015/16. 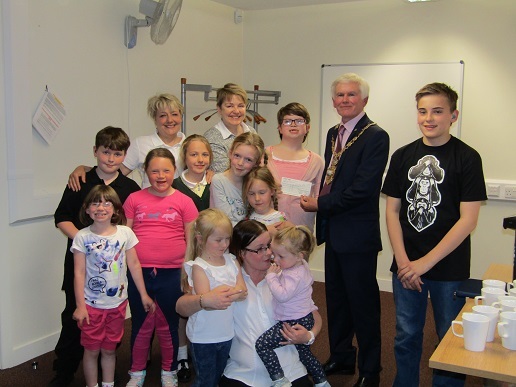 Mayor Vince Settle’s last official engagement of his year of office was to present a cheque for £750.00 to Sign Hi Say Hi!. Donations such as these are always welcome and make a real difference to the lives of deaf children in the area. Sign Hi Say Hi! have successfully bid for funding from the People’s Health Trust Active Communities programme for our “Let’s Get Together” project . The People’s Health Trust is an independent charity funded by 51 local society lotteries and the good causes money they raise through The Health Lottery. This funding will help to cover Sign Hi Say Hi! activities and the costs to deliver those activities from the 1st March 2016 until the 28th February 2018. GLASDON GROUP LIMITED Don McLeod (Treasurer) and Jane Thomas (Chair) receiving a cheque for £500.00 which has been donated by Glasdon’s. We have just received a donation of £250 from the recent performance of “I’ll Be Back Before Midnight”. The producer nominates a Charity of their choice and on this occasion the producer Mr B Melling who has personal experience of the care and support given families nominated Sign Hi Say Hi!. In addition another of their members donated £135 from a sale of works. A big thanks to all the members of Blackpool Park Golf Club for their generosity. The Captain Mr Brian Williams nominated Sign Hi Say Hi! as his charity and the members have held various fund raising events during the year. 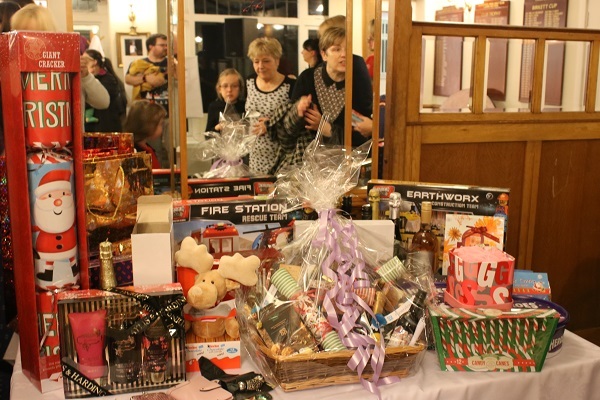 In addition a further £150 was raised on the night. Lloyds Bank Community Fund 2013 kindly made a donation of £300. Thank you to Don and Karen McLeod who kindly raised £220 during deaf awareness week, they received a significant amount from Blackpool Golf Club, as well as from family and friends. This generous donation will enable SignhiSayhi to continue to provide activities and support for families of deaf children in Fylde,Wyre and Blackpool. Sign Hi say Hi would like to say a big thank you to Body & Spa Therapy Group B from Blackpool and Fylde College Ansdell campus who raised £135, they did this by offering G5 and back massages during deaf awareness week. Money received goes towards activities for deaf children in Fylde Wyre and Blackpool.